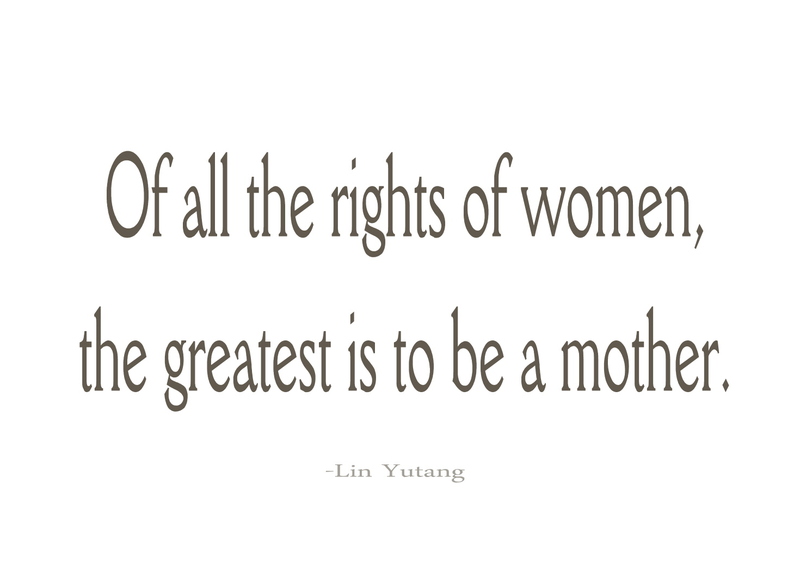 Motherhood requires immense sacrifice from women. We are morally obligated to allow our child(ren) to feed from us and sometimes, sicken our bodies for nine months. Once our children arrive in the world, we cease all functional living to nourish and coo over them for six to nine weeks or more. For the next 18 to 21 years, mothers bear the brunt of the rearing. We raise, foster, teach, discipline, and prepare our kids for the cruel world awaiting them. Most women sacrifice their peace of mind to provide; their clothes might not be the latest designer digs, but their children are usually well-dressed and well-mannered. Date nights are replaced with parent-teacher conferences. Afternoons are spent teaching ABCs and instilling values and principles that will remain with their children long after they’ve reached puberty. Moms protect their children against those that wish them harm and plan vacations to Disney World, even when they would prefer to spend two weeks in the Bahamas instead. Being a mother is difficult and the burdens of motherhood are challenging. Those are just a few reasons that I’m terrified of becoming a mom. I look comfy, right? Don’t be fooled. It’s just for the photos. I grew up with a superwoman. Though MTV’s Teen Mom has given the world a distorted view of young mothers, my Wonder Woman was married with two children before 21 and she still put our needs and wants before her own. She deferred her dreams to cultivate ours and worked long, thankless hours to provide us with unforgettable Christmases and birthdays., My mom is amazing. She always knew what remedy to give to cure our sickness and prepared meals that still make me salivate. Even now, I can count on her for a wise word when I need it or a reminder that I can’t force my will in life. Mom is one of my sheros and I credit her for a lot of my successes. 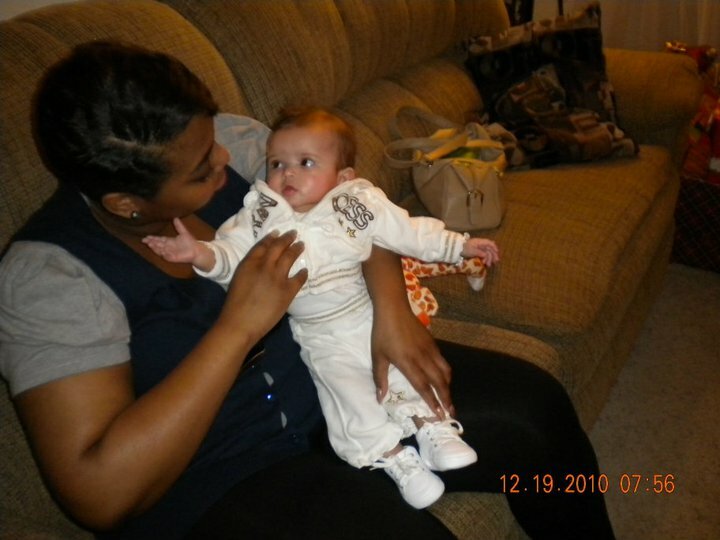 I thought that maternal instincts were natural and that I would develop them in due time. Well, I’m 23, an aunt of three and that hasn’t happened. I can’t change a diaper, cut vegetables or twist pigtails. Couple this lack of skills with the rise of postpartum depression in women and the hundreds of children that are reported missing every year and it’s easy to see why I’m scared of having children and shouldering the responsibilities of parenthood. At the same time that I’m dreading motherhood, I’m optimistic that I’ll inherit at least 50 percent of my mother’s wits. I’ve named my future children, imagined their proms and graduations and dreamed of their chocolate complexions and dimples. I want to meet the challenges of procreating, but I know that the fear will hold me back until I disavow it and stand in strength and confidence about my mothering abilities. It is inevitable that I will step fully into the role when it’s time. But right now, today, I’m terrified of motherhood. What is the one thing you’re afraid of? Do you think you’ll be able to overcome it? Very interesting post. As my friends and blog readers know, I don’t want children but it’s not because I’m afraid of motherhood. I know how to “change a diaper, cut vegetables and twist pigtails.” I helped potty train my brother. But I just don’t want kids. I admire mothers, especially those like your mom, but I know it’s not for me. Despite your fears, however, if you know you really want to be a mom you should go for it. I’m told that no one is ever truly ready for parenthood. Thanks for reading Javacia! Your post inspired this one. I’m still afraid, but I’m sure when the time comes, I’ll reread this post and laugh. I hope that’s the case. I feel the same way, Evette. I am truly terrified of being a mother. I still entertain the idea, partly because I feel that if I don’t become a mother I’ll regret it, and partly because my fiance is the love of my life and he wants them very badly. I don’t think I can deny him that. I love him too much to let him go, and I love him too much to deny him his hearts desire. I, too, have nieces and while I love them, I have NO idea how to take care of them! While I can change a diaper, I have zero ability to cook (even for myself), I forget so many things I sometimes think I have alzheimer’s at 26, I can’t stand crying children, I have no idea how to talk to them, and I am supremely uncomfortable holding babies. I love my sleep, I love being able to do whatever I want whenever I want it, and I love my money. All of those things will be gone when I have kids. I have never been good at accepting change, and I have never been one to tackle a simple project or a problem without multiple screwups. I feel like a complete failure all the time, especially when I look at how easily the people around me pick things up. I’ve tried to talk about this with people I know, mothers and non-mothers alike, and nobody understands. They chuckle a little bit, say that fear is normal, and that I’ll get over it. They don’t understand how deep seeded this fear is. They think it’s excitement mixed with a little fear, but it couldn’t be more opposite. I have tried to find internet searches and unfortunately, most of the “scared to be a mom” types are largely concerned about the childbirth and the pain/physical part of it. That doesn’t bother me, I’m scared about the 18 years after the one day of pain. Being scared of being a mom is such a taboo subject, that those of us with the fear (I believe it’s called Tokophobia) have so few places to turn to and so few resources, on top of being made to feel like a freak, like a terrible person. Thank you for posting this blog. I needed to feel like I wasn’t alone for once.